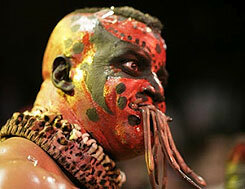 The T's Versus Boogeyman: Amazingly, It's Not Even the Worst Mania Moment in This Induction! - WrestleCrap - The Very Worst of Pro Wrestling! Over the years here at WrestleCrap, we’ve let a few inductions slip through the cracks that we didn’t consider, you know, horrible. 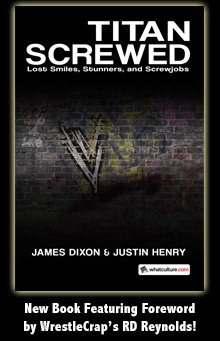 I know some folks have viewed us as the final word as what is bad in wrestling, and we consider it a compliment. Unfortunately, it’s just not the case. Well, it’s not always the case. For instance, those Gooker Award winners? You can take it to the bank that those things were, most assuredly, “the very worst of professional wrestling.” While a couple have admittedly made us laugh (Al Wilson, I’m looking at you), when it gets slapped with that silly turkeyman’s head, yeah…we’re the final word there. But sometimes, sometimes….we want to induct something just because we think it was funny or goofy or whatever. A guilty pleasure. And rest assured, that’s definitely the case today. I mean, can a match on the biggest show of the year featuring Booker T and the Boogeyman be horrible? It was comical, because when I began to do a bit of research on this one, I Googled WrestleMania 22 and found this image. That would be John Cena battling…Booker T.
Whom, you will recall from the giant green letters up there, was paired against the Boogeyman. I’d investigate it further, but I can’t. I mean, look at that logo. Every time I think about that, I just giggle as I picture Kevin Dunn and Vince McMahon shucking and gyrating, thinking about how a Peter Gabriel song from 1986 would make Mania cool in 2006. And I say that as a HUGE fan of the 80’s. 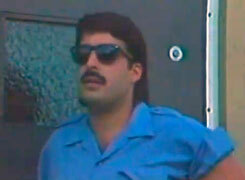 SPEAKING OF the greatest decade in the history of human existence, you know who would have been great in the 80’s? I mean, the wacky face paint, the worms, the smoke stick…why, I can just close my eyes and imagine him squashing the likes of Rene Goulet or Michael Saxon on a Saturday morning edition of WWF Wrestling Challenge. But that’s because they would be great in any era of wrestling. Well, as long as Sharmell isn’t wrestling Jenna Morasca. Because that was all kinds of terrible. Other than that debacle, though, this pair is awesome. Booker was always fun to watch in the ring, and Sharmell was excellent as a heel wench. Why I would have fun just watching them dance around. Hee hee hee hee…look at them dancing! Seriously, who wouldn’t love this? No no no – that’s not how these things work. I don’t know how I feel about a run-in by UNDERCOVER LEE MARSHALL. Oh yeah, Booker and Sharmell dancing! I should really try that sometime. Anyway, Booker and Sharmell’s fantastic rug cutting is rudely interupted by the upside down antics of the Boogeyman! They scream “NO!” at each other – TWICE! – and then run away in the most cartoonish manner possible. Have I mentioned how much I love Booker and Sharmell? Anyway, all this led us to a handicap match at Mania featuring Boogey vs. Sharrmell & Booker. But prior to said match actually taking place, the T’s have to walk the long corridor until they finally make the entrance ramp. If you’ve watched WWE television for oh, say, 10 minutes, you know that’s usually a bad sign. And if you are still unconvinced, Sharmell claiming that the “freaks” are always attracted to her husband, should have you certain tragedy is soon approaching. Pirate Paul Burchill practicing his sword fighting. Sadly, Booker does not state that he would not take this insolence lying down..
Next we get Eugene dribbling a basketball for Ted DiBiase…who promptly kicks it away. Maybe that’s how I get around the dilemna of inducting Eugene or not – just make him Jobber of the Week sometime like we did with Sean, the original basketball victim. Finally, we get Gene Snitsky licking Mae Young’s feet. Somewhere, Vince is laughing as we all vomit. Finally, Book and Sharmell run into…OprahDust. Because they’re in Chicago, see? …well, we don’t find out, as he whispers it into Booker’s ear. And Booker is completely appalled. All I can say here is that WWE felt it was ok to show Snitsky frenching Mae’s feet…but they did not think it acceptable to tell us where he wanted Booker to put the worms. You know what, let’s just move on, shall we? To the ring we go, and Booker looks none too pleased to be in there with Boogey. So he has Sharmell start. Not to sound too smarky, but what a great heel. Especially when it’s all just a ruse so he can clobber him from the back. As you might suspect with Boogey in there, this match is pretty awful. On the plus side, there is so much smoke that you can’t really see anything for the first three minutes or so. I can only guess that Red Mask and Blue Mask’s vette is parked at ringside. …and jams them in his mouth. 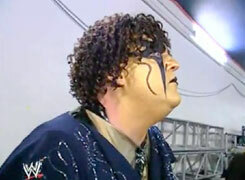 I really hope Booker doesn’t put them where Goldust suggested earlier NOW. Sharmell being a good trooper decides to attack Boogey from behind. …and Boogey shares a mouthfull of worms with her. Oddly, I find this far less disgusting than Snitsky licking Mae’s krusty foot digits. One Boogey Bomb later, Booker is down for the count. Goodnight sweet Booker, we hardly knew ye. And that was Boogey’s sole WrestleMania match, as he injured himself (actually prior to this match) and was soon future endeavored. But don’t feel too sad for the guy. I mean, at least he had a match. It was a horrible match, but hey, he won it. Counter that with Gene Snitsky’s Mania moment. Seriously, which would you rather have? 3 Responses to "The T’s Versus Boogeyman: Amazingly, It’s Not Even the Worst Mania Moment in This Induction!" for a guy who got pushed stayed undefeated til an injury happened got future endeavered az you put up then came back only to be put into more lame feudz afterwardz…….yeah sorry cant defend the poor guy. Wow…red letter day at the Crap. Sliding in a Guybrush Threepwood reference? Impressed sir….VERY impressed. I actually marked out for The Boogeyman back in the day. 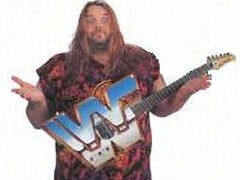 He was a bad wrestler, but a damn good entertainer.